Our bi-monthly color challenges offer an array of colorful inspiration. The deadline for our current MFT Color Challenge #15 is this Wednesday at noon EST, but before that challenge closes, let's take a look at some of the noteworthy projects that were entered into MFT Color Challenge #13 and MFT Color Challenge #14! I'm sure that you'll agree that they deserve a second look and a round of applause. If you see your project featured, feel free to post this image on your blog and link to this post to show the world that you were spotted by the MFT Challenge & Inspiration blog! Our inaugural color challenge of 2015 was comprised of Tropical Teal, Limelight, Lemon Drop, and Persimmon - you can find all of the entries HERE. 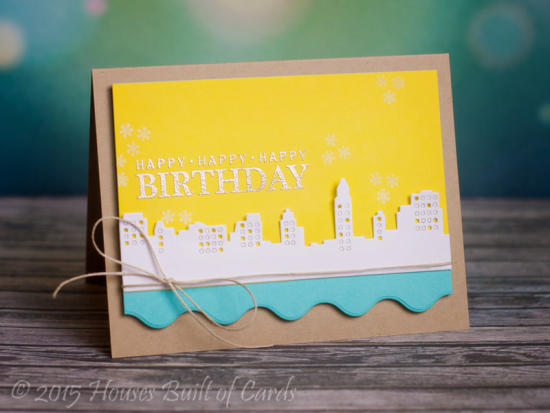 First up is Carisa - In case you didn't know, it's totally kosher to submit non-card projects to our challenges! 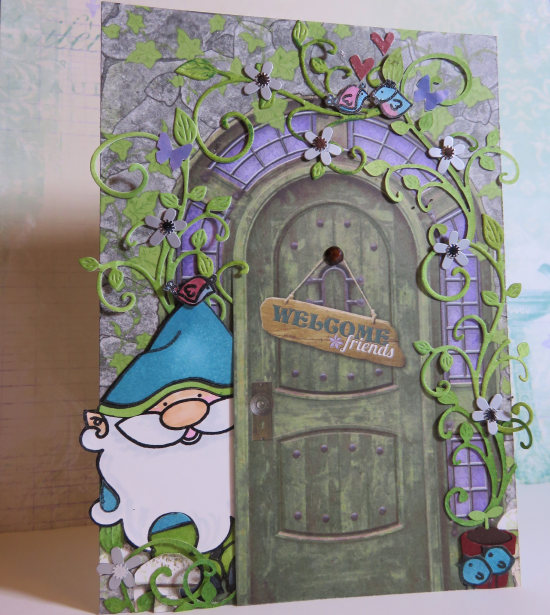 Color combinations can lead your creativity to fanciful places like this mixed media journal Carisa created using gelatos. She explored and experimented and came up with something beautiful! Carolynn's card is so fun! While the colorful balloons head for the sky, her waves at the bottom anchor the design. There is such movement in this card. 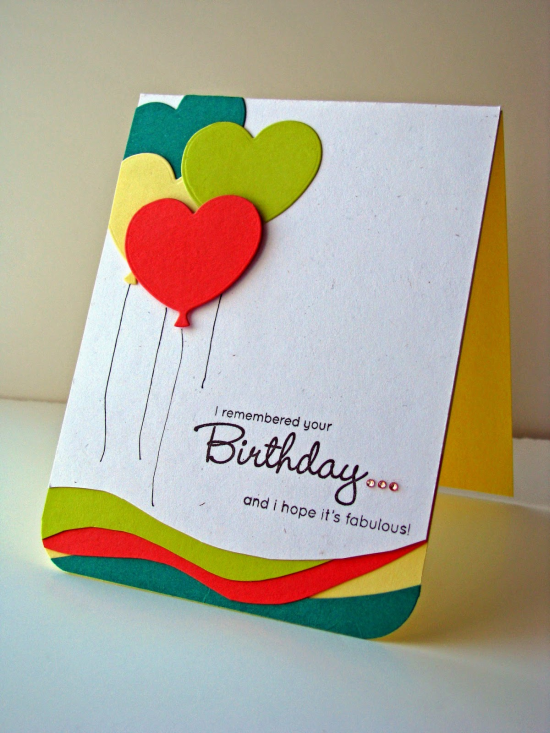 Nina-Marie incorporated balloons in her design, too, but that's where the similarities with Carolynn's card end! 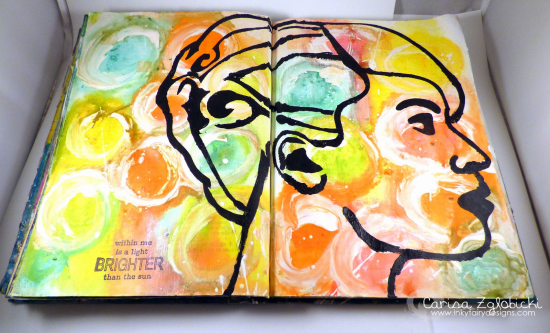 Nina-Marie was fearless with her use of the color combination creating a water color background. If you visit her blog, you can even get a brief tutorial of how she achieved the look! MFT Color Challenge #14 debuted on January 22, and it featured Blueberry, Wild Wisteria, Limelight, and Sweet Tooth - you can find all of the entries HERE. June created an absolutely magical scene with this sweet color combination. I just love all of the details she incorporated. I imagine this took her awhile to complete, but what a fantastic end result! OMG! I love Penny's card! For the newly engaged lady, this would be an awesome surprise in the mail. This card simply SPARKLES. Shanna's project is AMAZING! Holy cow! Armed with a $4 wood panel she found at Walmart, she created this gorgeous home decor piece featuring our color combination and seven of her favorite people. The result? A sophisticated keepsake that can be on display year-round. Thanks for your participation, ladies! You've left us inspired, and that's what it's all about! 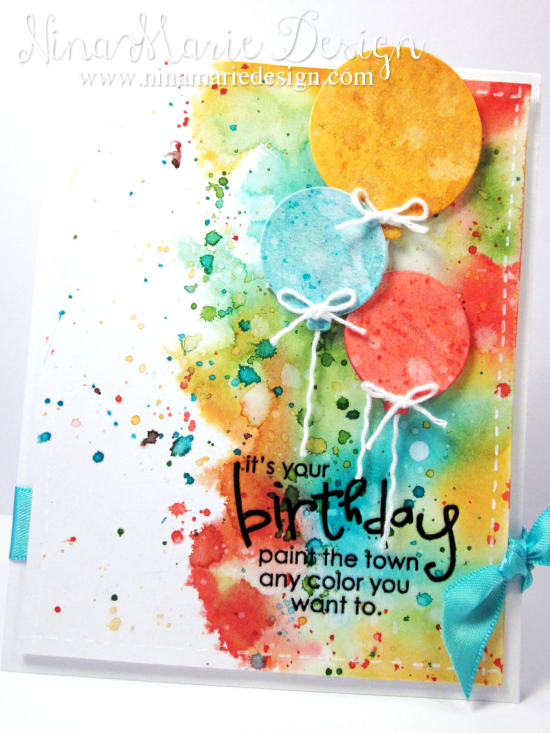 See you tomorrow, February 25th for the next Sketch Challenge, and look for a new MFT Color Challenge on Thursday the 26th! Check this out - The My Favorite Things Design Team will be counting down to the March release (you're gonna LOVE it!) starting this Thursday at the MFT blog. You won't want to miss it! Big round of applause to all of you who have been spotted. Great creations!!!! Wow, these are awesome ~ each and every one of them. I can see why these were "spotted". There is some talent out there! Great job ladies you make me feel like I need to kick it up a notch.You all should be so proud of your projects. These are fantastic projects! 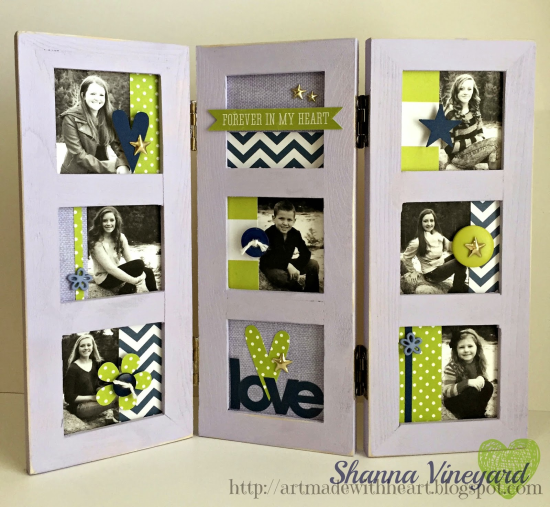 I love Shanna's frame project! Gorgerous projects!!!! I especially love Shanna's frame! Beautiful projects! These ladies are talented. I especially like June's magical forest card. Amazing detail. Congrats to all!! APPPPPPPLAUSE. What wonderful projects. So inspiring. Great projects!!!! Digging on Shannas frame, as well. Everyone did an awesome job!! Great projects. I love the Shanna's frame. Susan, I LOVE this feature! What an excellent addition to the MFT offerings! I am an MFT addict, but I don't have a blog or a Flickr page or any other place I post my work because I am a big chicken. The MFT DT always makes me feel like I can do it though and maybe some day I will, but I worry about my "real life" too much. Anyway, I love seeing what other people do -- I love the art journal page - I love everything, but I LOVE the engagement card! 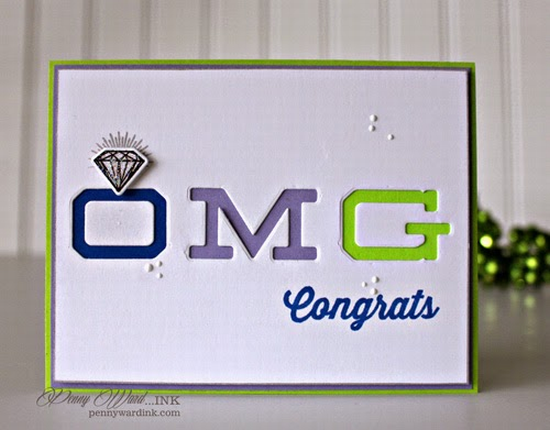 It is perfect for millennials and my DD has friends getting engaged and it is perfect for them! I can see it in each girl's favorite colors -- or even wedding colors if I could find those out! I am in love with that card -- how about next release MFT comes out with a diamond? ?